New My stepdaughter graduated from Arizona State University this semester – a huge achievement with two small children and a husband (in addition to working full time in a demanding job). I think the Beautiful You stamp set must capture the elation she feels at being FINISHED! ASU’s school colors are maroon and gold (I used Cherry Cobbler and Crushed Curry). Her dress is stamped on some Cherry Cobbler Designer Series Paper (DSP) and then trimmed out like a paper doll dress (also known as paper piecing). I wanted her to have a long sleeve dress so it looked a bit more like a graduation robe. I just cut her hands off in the image stamped on the DSP. That sounds awful, doesn’t it? The graduation cap is a square of Cherry Cobbler cardstock – about 1/2 inches square. You just have to play with it a bit to get it the right size to cover the stamped hat and not look out of proportion for her body. I pulled a few threads from Crushed Curry thick baker’s twine to make her tassel. I made the diploma from a 1/2 inch tall scrap of printer paper, rolled up and then tied with a bit of Cherry Cobbler twine. Inside I stamped the sentiment, Life looks beautiful on you. Isn’t this a perfect set for a graduating young woman? 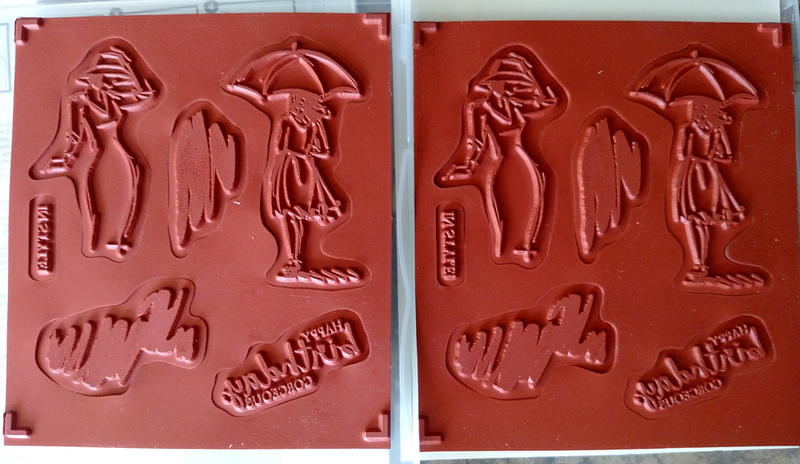 Now mind you, Stampin’ Up will fix this problem for me…but I needed the OTHER stamps from the set immediately! Luckily, my upline Lorri Heiling lives right down the street. She let me borrow her set (again) and I was able to bring my idea to life and make it to the graduation party on time. 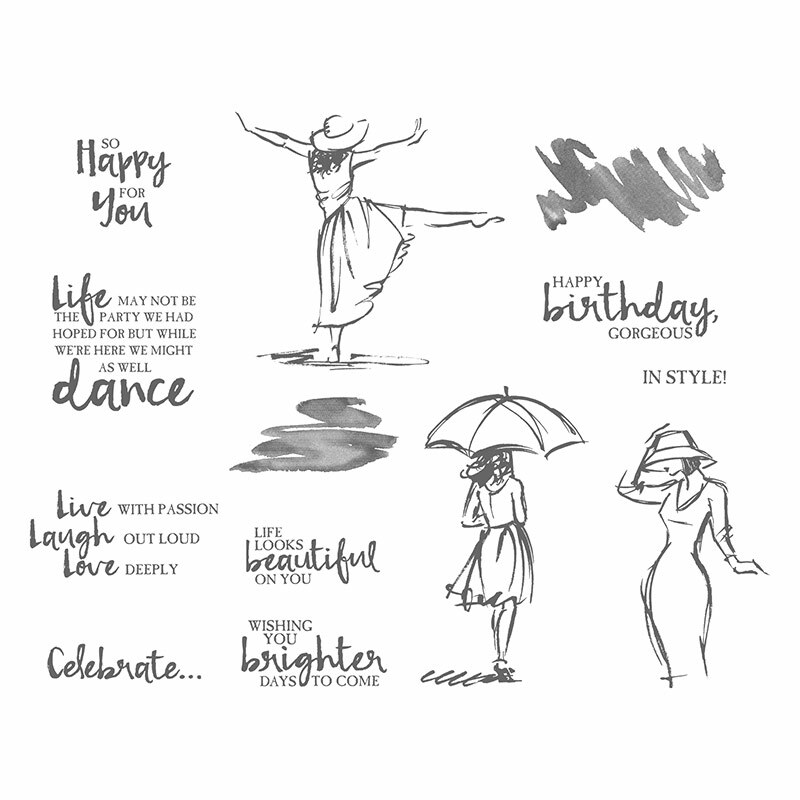 Click here to order the Beautiful You stamp set. Here are the projects we made at my Sweet and Simple Card Class in March. Super easy but cute! 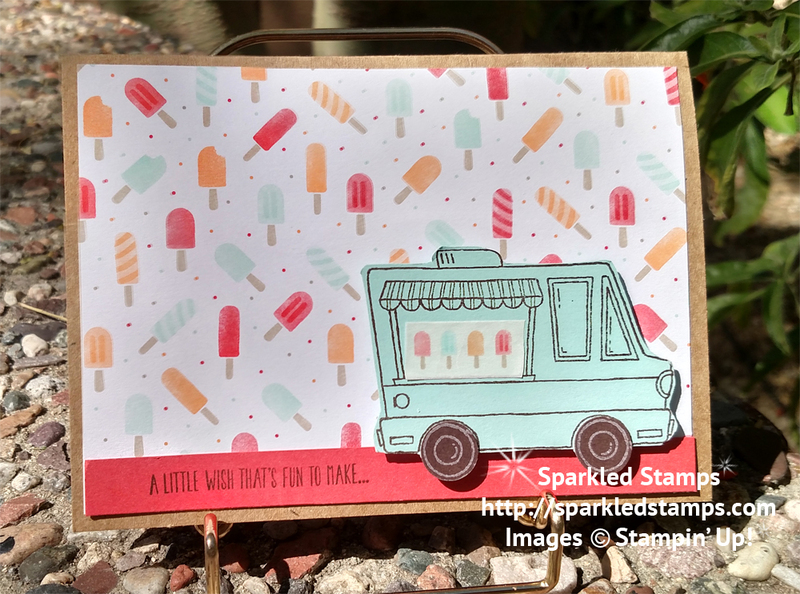 Two of the projects used washi tape – look at the row of popsicles in the window of the ice cream truck…that’s washi tape! And on the purple Wisteria Wonder card, that strip of gold dots is actually metalic washi tape. It’s gorgeous! And on sale now! Check it out here. 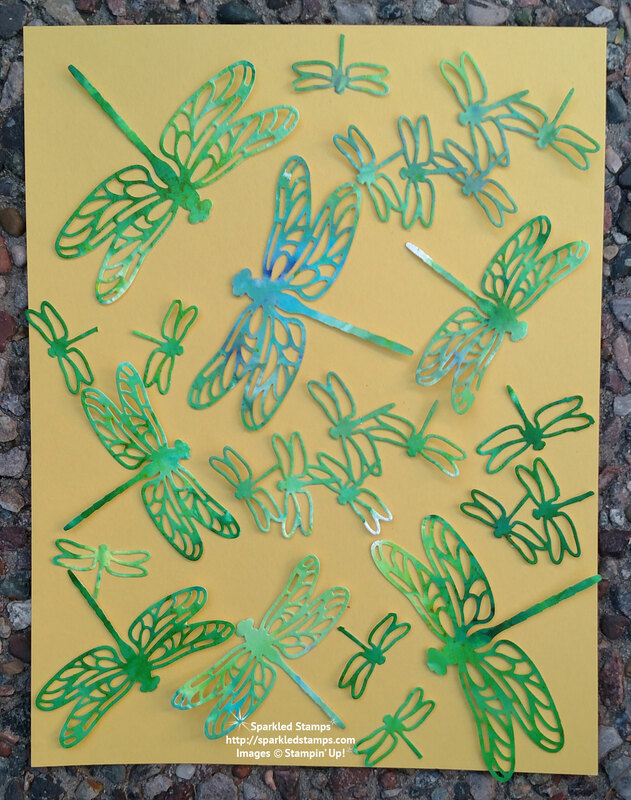 Thank you to Mary Fish for inspiration for the dragonfly card! The dragonfly set is one of my go-to stamp sets! 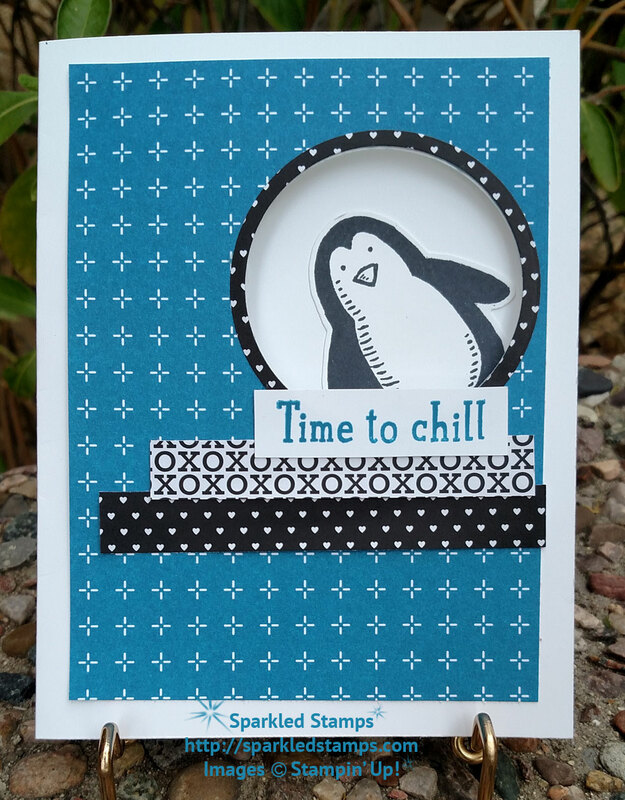 Want to learn to make cute and easy cards like this? 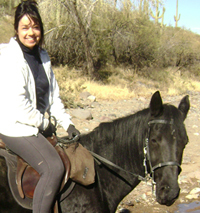 Join me at a local class in Phoenix or email me for details on how to join a class in the mail. 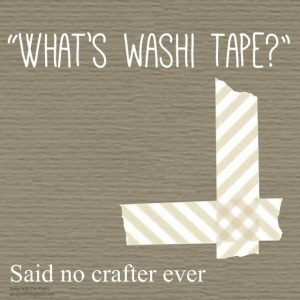 Actually, I did have someone ask me what washi tape is! If you are a beginner crafter or card maker, you might not know about this wonderful embellishment! It’s a paper tape (not masking tape or duct tape) made from natural fibers from Japanese trees. You can just tear off pieces with your fingers. And it is re-position-able, which makes it so easy to use. There are a couple tricks to using washi tape. It helps to get a rolls that coordinate together because the mix of patterns will help you make cute cards. It often goes with a whimsical stamp for kind of a casual look. But that’s not to say you can’t use it for intricate, elegant patterns too. You can also place a strip on a piece of wax paper and then use a punch or die to cut out a shape. If you like a straight edge rather than the torn effect, use an old gift card as your little straight edge cutter. It works like a charm! 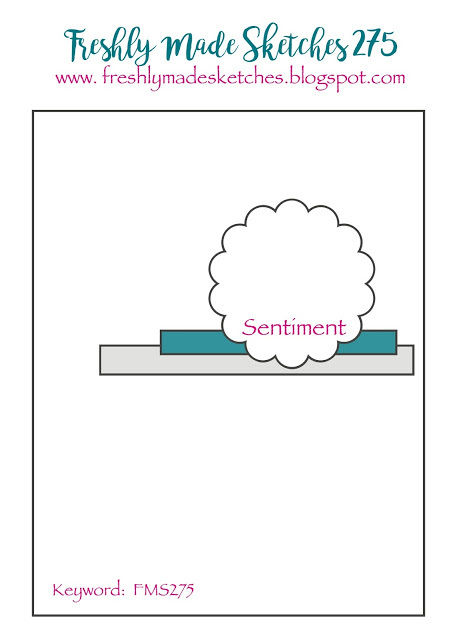 Washi helps you make a cute card very quickly. 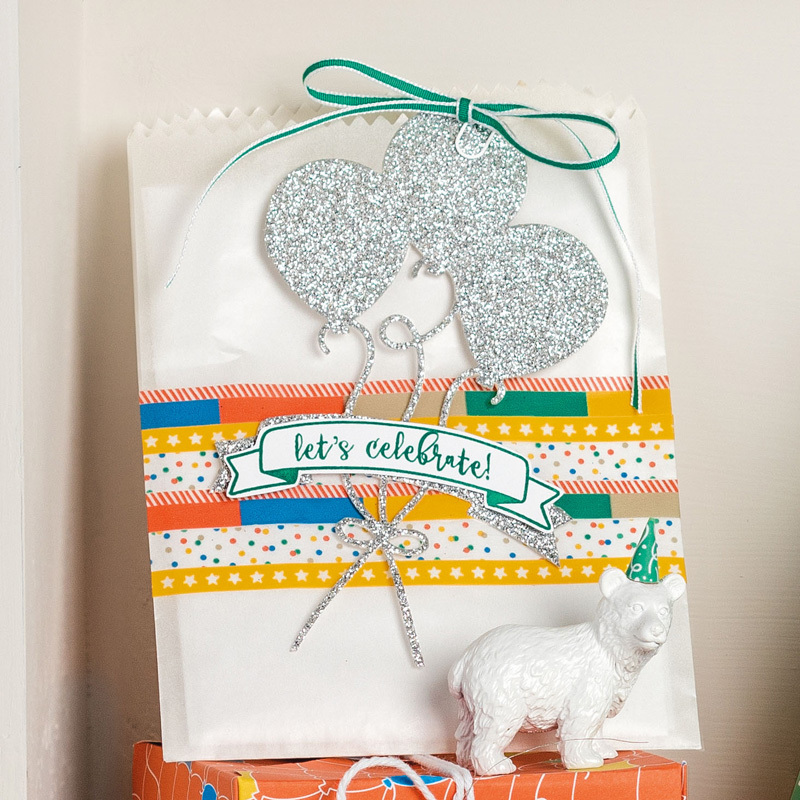 Here I used three patterns from the Party Animal washi set. I used Emerald Envy ink and Crushed Curry cardstock for a bit of pop…and the card was done! Oh and I punched out a tiny heart using one of the washi tape patterns to make lips for my frog. I just put a piece of washi on a piece of wax paper. Then I used a tiny heart punch and peeled it off the wax paper. Instant heart-shaped washi! I also love to put washi tape on my envelopes. Isn’t she adorable and kissable with those puckered lips? 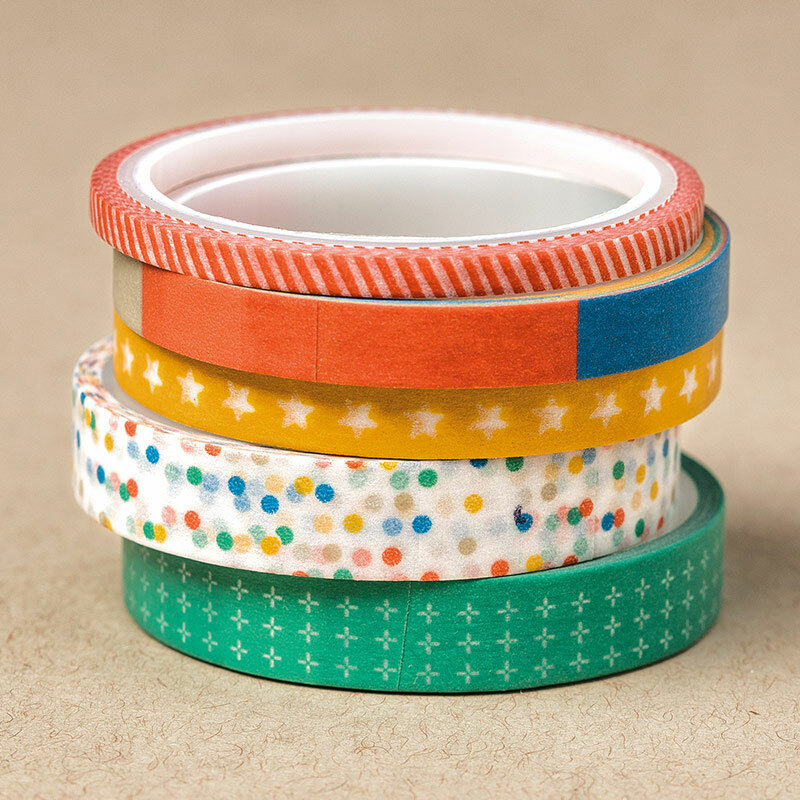 Here’s a close up of this cute set of washi – only $8.00 for 5 rolls! Colors are Crumb Cake, Crushed Curry, Emerald Envy, Pacific Point, Tangerine Tango. Five yards on each roll. Do you sometimes wonder how to pick colors to put together on your card design? I was trying to figure out what color would look pretty with these dragonflies I punched out from some hand-painted paper my sister sent me. They are these beautiful shades of green. So I pulled out my color wheel to help me decide. 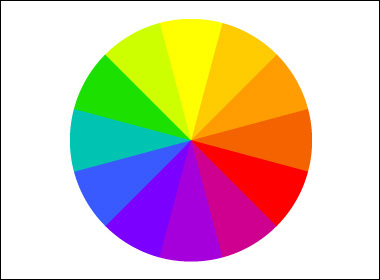 The color wheel is divided into 12 colors. Yellow, red, and blue will be the primary colors. Green, orange, and violet are the secondary colors. Each secondary color is a complement to one of the primary colors. To make it simple, the complement will be the color on the opposite side of the wheel. Green complements red (Merry Christmas!). Violet complements yellow (Happy Mardi Gras!). Orange complements blue (Happy umm…Parrot Day?). I decided to go with three colors in a row and put the dragonflies on a daffodil yellow paper. Do you just love those dragonflies??? The thinlit is called Detailed Dragonflies and you can read the details (lol) about it here. 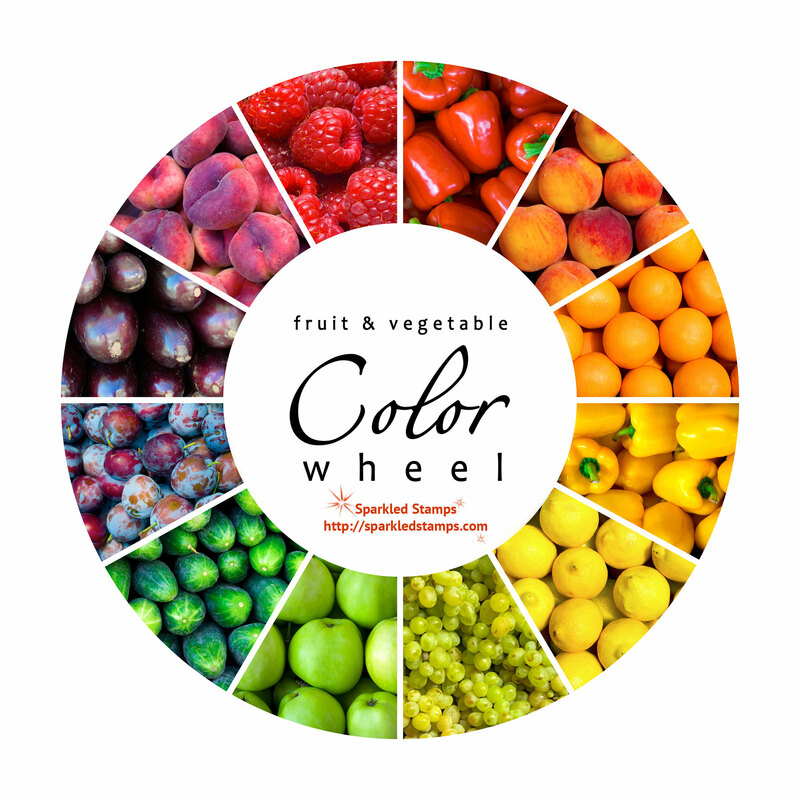 Here are some tips about the color wheel. Opposite colors on the wheel will bring out a vibrancy that isn’t present when the color is used alone (the colors will pop). Three colors in a row will look harmonious together. Two or three adjacent colors with one opposite color will pop. Playing along with Freshly Made Sketches design #275. 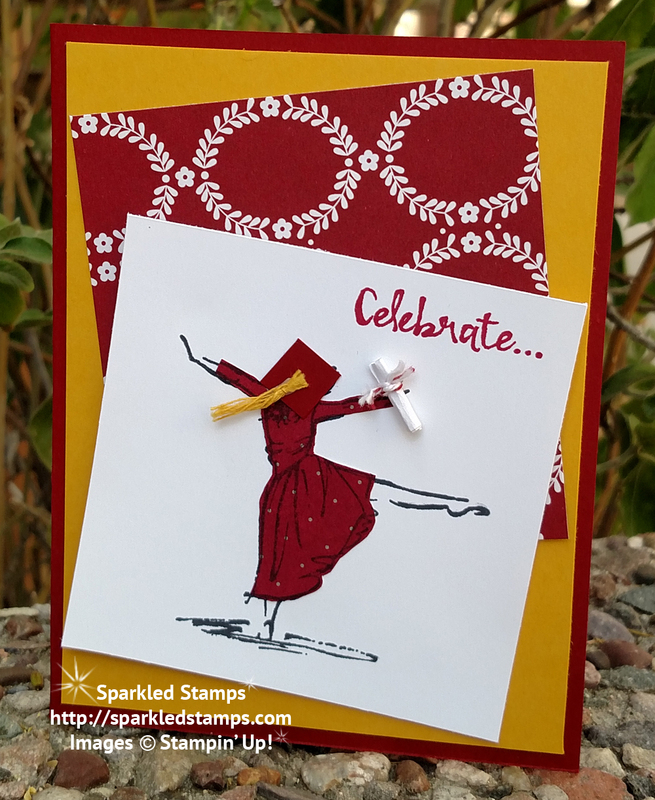 If you haven’t tried a design sketch challenge, you should give theirs a try, especially if you are new to stamping. 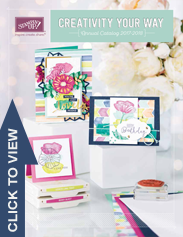 Having a design idea takes away the frozen feeling that comes when you stare a piece of blank cardstock! 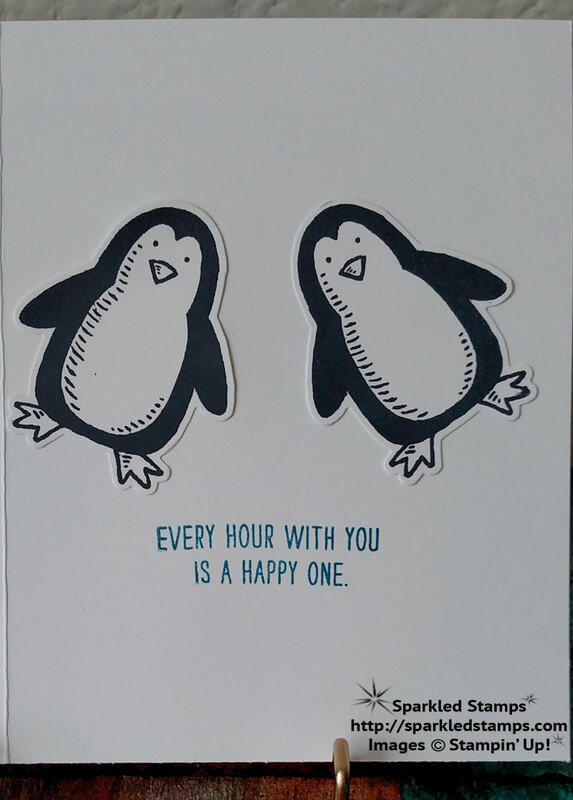 To make it easier for new stampers to copy this design, I punched out the penguins to show how I could place them in the right place without having to worry about STAMPING them in the right place. The stamp set is Snow Place and the matching framelit is called Snow Friends. This set is not just for Christmas! Penguins are adorable all year long! Inside I used the sentiment from Mixed Drinks (keeping with the ‘time’ theme started on the front). My color palette is Pacific Point, Basic Black, and Whisper White. Pacific Point just seems to make the penguins pop! The Layering Circles framelits are so well worth the investment. I love how I could make that thin ring to go on the outside of my cut circle. Stay in touch on my Facebook page! Don't Miss the Next Freebie! Fill out the form below and you'll be among the first to receive neat freebies from me! 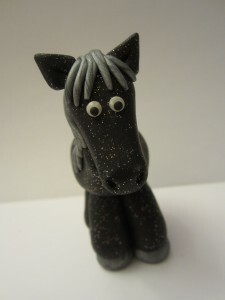 There’s a story to my Sparkled Pony name and you can read about it here! 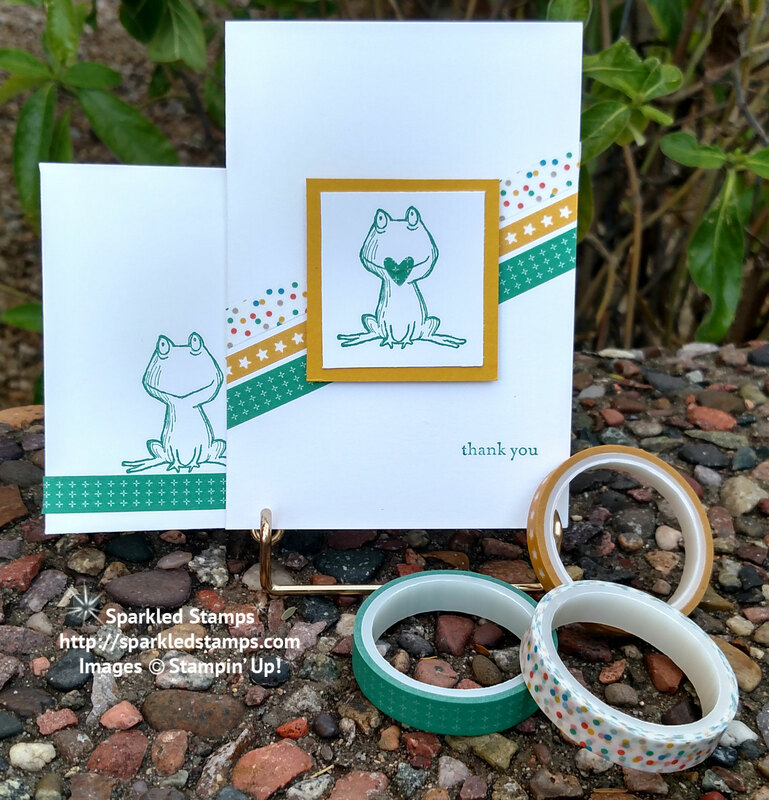 Images © 2019 Stampin&apos; Up!